Caps of the first order. 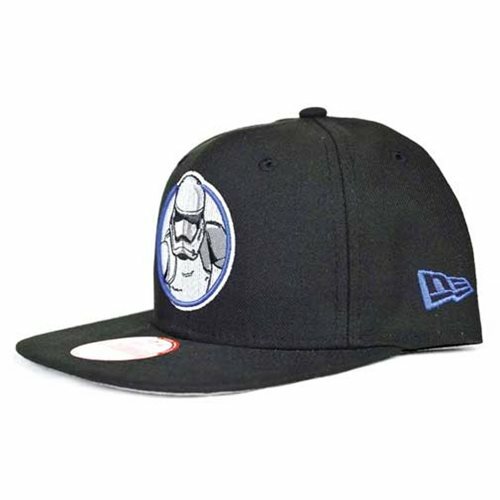 A First Order Stormtrooper is featured on this 950 cap from New Era! The hat shows a trooper on the front panels and a First Order Elite Squad logo at the wearer's right. With a snapback closure for an adjustable fit, the interior of this Star Wars Star Wars: The Force Awakens Stormtrooper Snap Back Cap includes branded taping and a moisture absorbing sweatband.